This 38 Super ammo is priced to move offering great savings for shooters who are looking for some quality range ammo. As we receive in shipments, periodically boxes are damaged cosmetically where they don't meet our standards to send them out. Rather than throw them away we put them into bins separated by caliber and repack them at a great price point. This ammo is a mix of brass and nickel-plated brass casings with various bullet types including mainly FMJ ammo with some JHP's included. The majority of this ammo is +P. We don't have any reviews yet for this particular .38 Super ammo from Mixed. 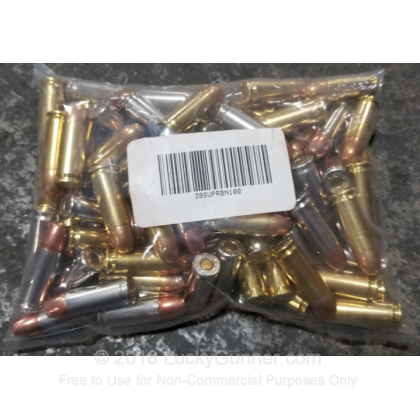 If you'd like to be the first to review this particular .38 Super ammo from Mixed, fill out the form below.